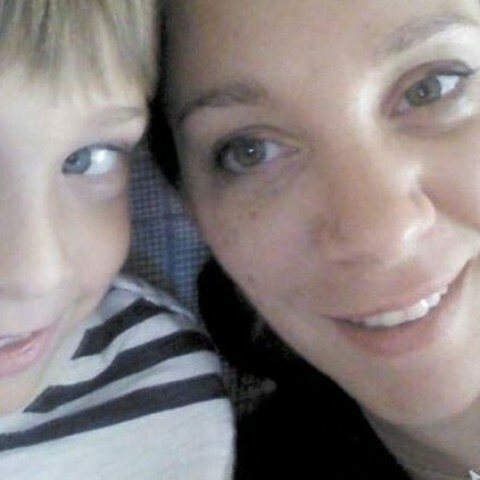 Single mom and face painter in South Florida, I joined the WA community a little over a year ago hoping to make some decent money online so I can give my kids a happy childhood - and I am now doing just that! :) I learn a lot here and am very proud of what I have done with that knowledge. As I gain experience building websites, researching the niches for those websites, creating quality content, and marketing what I do to my targeted audiences, in addition to perfecting my art skills, opportunities are popping up for me left and right. This is a great community to be a part of and I hope to be able to give back to it as much as possible because I am truly grateful for the life I have been able to achieve as a result of what I've learned here! Donna, I have just visited your site. I tried to leave a message but got a 'this is spam so not posted to site' type of message. I don't know why so am putting it here. I can't see why this would happen with this comment. "Donna I can see why Party Painting is gaining in popularity if your work is any example to go by. You have a great imagination and good colour coordination. If I lived nearby I might even consider it myself. Great site, cheers from Helen"
So there you go. I might try and figure this out and try again later. Keep in touch. I have just asked a question re this. I don't have this problem with another site I commented on just now as a test. I was just wondering if you figured out what happened? Not yet. I asked the question but got some pretty wishy washy answers; like my comment was too general. That really didn't help. And I told that person my comment was for your site and would be what I said to you if we actually met. Then you could paint my face! Thank you for the follow and may you have great health and success. Ey there Donna... thank ya' for the follow!!! Thank you very much for following me! thanks for the follow! Best of success to you, here, at WA! Thanks for the follow. I looked at your website. It's great! Thanks a bunch :) I'm looking forward to seeing what you end up doing...let me know if you ever need any comments or feedback! I actually just wrote my first blog asking for advice on a domain name. I would appreciate any feedback. Thanks for connecting, I am following back. Hi Donna, you have chosen a great community to be part of. I wish you good luck here! Welcome to WA and well done on going Premium! Congratulations on choosing premium! No doubt you will have great success with patience and persistence in following the excellent training that Kyle and Carson have laid out for us. I'm following you to success! Thanks Debra, you too! And thank you for helping me get to the bottom of my keyword targeting questions and for clearing up what duplicate content is and is not...I was relieved to find out I wasn't doing that! You are welcome, sometimes the littlest thing can mean a lot of saved time later on you site. I;ve been there, so, I am happy to help. Thanks for the follow. I love the face painting. Hi Dkral, thank you for the follow. I look forward to working with you here at the WA Community. Anyway Donna, here’s wishing you all my best for your success with online marketing. Please feel free to send me a private message if there is anything I can do for you. You may also want to check out my WA profile blog posts as there is some interesting and informative information there. Here’s a little inspiration: I'm Number One ! Thank you for your acceptance and follow up. Let’s share and collaborate toward our success. I also wanted to thank you for joining my network. Hi dkral, thanks for following me, you're beautiful with a nice smile, I wish you the best in this journey of internet marketing, we are one community let's make it great, and if you need help don't delay to ask. Thanks for the follow. Hope it works out. Hi Donna, You look like you enjoy interacting with kids. I hope you achieve your goals and can spend more quality time with your own children. Take care and all the best. Wow....were you able to paint your own face.....if so I will have to say you have some mad skills. Your creative nature will work well here at WA. A hearty Welcome to the community and much success! PS: I guess I am late on the welcome as you have been here much longer than I......still think you have skills though....lol! Somehow I missed your comment here! Yes I painted my own face. Thank you for the compliment and the welcome Soltrav, and I hope you are having a good time here too :) Let me know if you'd like any feedback on your website or comments or anything else. If I can help you I will. Wow sweetie, that's one good looking face paint! Love it. I just started skimming through a few of your blog posts and it looks like I'll want to dive in a little more over the next few days. Following, of course, just so you know. I like people who has a artistic mind, nice face paint by the way! Thank you Loes! It was a pleasure to discover you on here :) And so far, I am learning a lot and having lots of fun here. I may not have received any money from affiliate links just yet, but I've only had one approve me so far. I still feel like I'm getting a lot out of this though because as a result, I've grown my business, so in that way I am not only making money from what I've learned here but I've had my mind opened to new ventures, which has been really exciting! Hi Donna. Thank you for adding me to your network. You've got a cool talent with the face painting. You're the 1st one I've ever known. And to top it off, you've turned it into your online biz. I've just now checked out your site. Way cooler! I wish you the best in your online ventures. You've definitely got it. Cheers! Thank you very much :) Nice to meet you too! I actually just put up my first ever YouTube video today on my website if you want to check that out. Let me know if you need any help on here or with your face painting. Thank you for following me. I am a single Mom too. I too want a better life for my kiddos. Following you in return. THANKS for the follow! I don't, as yet, know what they mean. Or why I want them. (I'm new here, too!) I'm still feeling my way around. But I'm sure I'll learn about them in due time. And THANKS, again. Everybody here has been great about helping me out! And they do make me feel that this is just one BIG family! May you walk on the sunny side of all your life's roads! And may those roads always lead you downhill ! Your SMILE is my COMMAND, dear lady! And, just so you'll know a more about who you're talking to, let me tell you! Congratulations on going premium! I'm sure you are as excited as me to be part of this amazing community ! Hey Donna, congrats on going premium! Welcome to WA kdral. Hope you achieve all that you aspire to. Here's my latest post to my website! I wish you the best of success, my friend! Hello, thank you for following me. I'm pleased to have you in my network. Hi, Its very nice to meet you. Welcome to our big family. We hope you achieve all your goals here at WA. Thank you for the follow. Great face, love it. 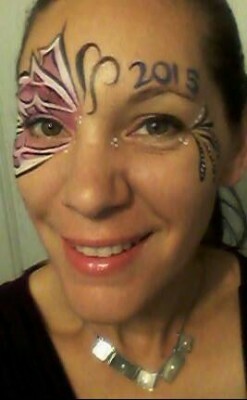 I did mine for new years, there was a pair of ladies that did face painting where I was working at. Ice Rink at the Queen Mary in Long Beach. So the deal was a bunch of us were going to paint our face, turned out I was the only one. So there I was operating the zam and the kids where having a blast with me out there on the ice ever so frustrated that I am on the ice and they are not. Glad to meet you, wish you and your family the best. Thanks for following. I followed you in return. Best success in this journey! Hi Donna...thanks for the follow. your website looks awesome, congrats. I wish you great success with all of your goals. Thanks, I'm glad you liked my site and I can't wait to see what you create. I am hoping to get a gallery set up so we can all share our creativity but it's summer and work time so I'm a bit behind. Aloha Donna! I am excited that you took the opportunity of realizing your own potential and taking your first step to earn revenue and grow your own online business. As Carson and Kyle so happily offered, if there is anything that you need, please let me know too! I'll be looking forward to helping you on your journey to success. Best Wishes Donna! Thank you for adding me. I really hope to see more of you around here and help me more with your advise. Thanks for adding me to your network! Wishing you all the best for you and your kids. Thank you Tanja! I wish you and your kids great things to come as well:) I think WA is a great place for us mommies to have an opportunity to be able to really build a great business from home so we can have more time to spend with our kids. So I really appreciate this community and I love to see other moms on here with the same dream! Hi Donna, Love the pic, is that permanent ? You have a great goal providing a happy childhood for your kids. Best wishes on your success here at WA. Welcome and thank you for the follow. Wishing you great success on your adventure. Remember there is no finish line so enjoy the journey. Thank you Donna for the follow and many blessings to you here at WA. Thanks for all your help Donna, I am so happy to have individuals like you in this community that are so willing to assist others in their online quests to financial freedom and celebration. Thank you Donna! Hi there, thanks for connecting I hope you have lots of success with WA. Welcome to WA and thank you for following me, Donna. Nice painting. I wish you the very best in your journey here. Hi. Thanks for following. hope you have much success! Your welcome and you too! Just went premium today - let the adventure begin! I think that's about the best goal I've heard so far - to give your kids a happy childhood. It's very tough being a single parent. I did it for nearly twenty years, but the decision to put my time and limited energy into my children is one I'll never, ever regret. Good luck! Thanks MelJen! It's definitely not an easy goal but one I will never give up on! Hello Donna! I’m Coach Rebecca. Thanks for the follow. I am happy to connect with you. Please let me know how I can help you with your dream for online marketing success. Dkral, thanks for the follow!! Welcome! Sounds good Donna, chat soon! Donna, thanks for the follow. Welcome to Wealthy Affiliate. You have just found the right place to learn all there is to know about this online marketing community and how to build a highly successful business. Hello Donna, Welcome to the WA family. You are in the right place. You can make very influential relationships here in the community. Money is a by product of the value you offer. The knowledge and power to accelerate your goals is very real here. This is a marathon process not a sprint. Like children, one needs to learn how to walk before one runs..Follow the training and you will most certainly meet with success my friend. Buy the looks of things you have a knack for face art... beautiful, although your left eye looks a little out of date...lol 2013 he he he. Look forward to seeing you reach your goals. If ever you need assistance with anything. Be sure to reach out. I'm here to help and love to connect. Nui. Thanks Nui:) It actually says 2015, but it does look like 2013 in the picture. And I agree - I love this community and everything I have already learned here! I will definitely be going Premium very shortly. I agree with what you said about money too...in a previous job I had that was commission based and therefore very money focused I had to remind myself with a huge hot pink sign I hung on the wall for everyone to see that read: Do what you love and the money will come. Surprisingly. that sign not only reminded me but apparently everyone else. We all began to focus more on helping the customers and each other, and the atmosphere of the office changed drastically for the better. We all began to succeed together rather than at another's cost. It was an awesome thing to experience and I am excited to watch that happen here! Opps, you are correct. My bad Donna. By the sounds of things you are well on your way to success my friend. Let yourself flow. The process as you mention about the pink sign is frequency of thought that one must tune into. Manifestation is a co- creation between oneself and the universe. Thoughts become things. Nice to know your stepping up to premium and taking the bull by the horns so to speak. I look forward to hearing of your many success. Want a laugh since your a face paint guru. This is my efforts. I painted my daughters face for a play she was cast in. Stray cats. Hey Donna! Today I just wanted to follow up with you to see how things are going! I hope all is well and you are enjoying yourself here within the Wealthy Affiliate community. Hi Carson! I am stuck on a couple of ideas actually. I have decided on my niche: party art in south florida. I'm trying to decide on 3 relevant themes. Would these be good themes?...1. What is Party Art? 2. Classes/Tutorials...3. Local party artists. Or do I need all my themes to have affiliate programs? I have found face painting affiliate programs but I am looking for other ones. Can I request the place I buy supplies from to create an affiliate program? And can I create an affiliate program for my own face painting services? I was thinking that would be a good idea as an ongoing fundraiser for my son's school. Donna, Thanks for Following. I hope you have Great Success with your Time spent here on WA, and I wish you Success in achieving all of your Goals! Thank you...I'm really glad to be here! Hello Donna! May I be one of soon to be many who WELCOME you to the WA community. 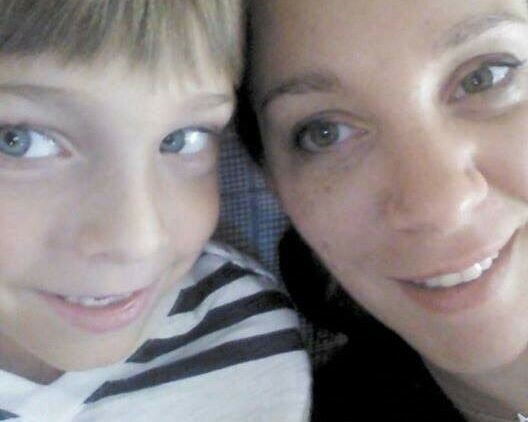 I would love to see you do well here...how I wish that when I was raising my 5, that I had not needed to be out of my home and away from them nearly ALL of the time after 12 years of marriage and mostly being a stay at home mom. Its a long story...suffice it to say just providing materially for them was a struggle and left much of the chaotic adolescent years in the muck of my divorce. UGGGGGG! So, here's my recommendation: Be methodical about your course work here. Do each and every Course and the tasks related to them. It is set up so that YOU will be set up "-) with your online presence more quickly than you might imagine. Then stay the course, keep adding content and developing your page and you will do great things that in time will be an income you can rely on. ALL while you study and work at home! MARVELOUS! I'm looking for what you will creatively bubble to the surface. Thank you Linda for the advice and encouragement! I'm excited that I found this community and what it will bring out of me as well! Good! With that excitement behind your focused efforts you will see many great things bubble to the surface. Want to read about my excitement last night. I discovered something that well...when you get time read it, its not too long..
Just LOOK What Has Happened! I can totally appreciate you wanting to spend all the time with your children, I have a little one (1.5 year old daughter) and I feel so fortunate to be able to work at home. I can tell you that it is possible and the Internet presents this opportunity Donna. You can literally take any passion/interest that you may have and turn it into a full time business and we are going to teach you how to do this here at WA. It will require some work and dedication, but it is well worth it. PS. I hope you are having an awesome week so far! Awesome face painting by the way. No problem at all Donna, it is great to have you here at WA and I absolutely look forward to working with you and seeing you progress in the coming days, weeks, and months ahead. So awesome to hear Donna and glad you are loving your experience here! Been here one year now!